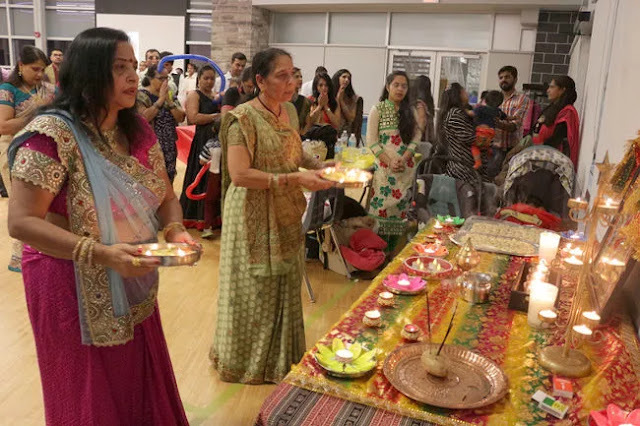 Rashmika Patel and Radha ben Patel perform the “arti” traditional worship rituals as the local Indian community celebrated Diwali recently at Rotary Place. A triumph of good over evil and light over darkness was marked during local Diwali celebrations. Hundreds of Indians in Orillia and area Sunday lit up the community room at the Rotary Place with celebrations for the Festival of Lights. Across India, the reasons for celebrating Diwali may vary. 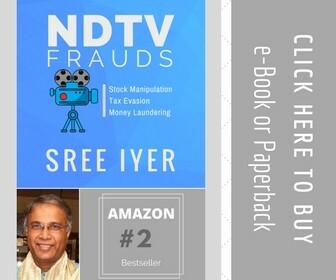 For instance, north Indians recognize it for the success of Lord Rama, whereas south Indians mark it as the day Lord Krishna defeated the demon Narakasura; to the west, it's about Lord Vishnu sending King Bali to rule the nether world. Regardless of where it is celebrated and the reason behind it, the general sense is the triumph of good over evil. In Orillia, people gathered to mark the occasion with food, gifts and a ritual worship ceremony offered for the God Rama and Goddess Seeta. Men, women and children were invited to join in on the worship that required the use of a tray with five diyas to be waved in a circular motion around images of the two gods. The table, where the images rested, was decorated with embellished cloth, incense sticks, candles and sweets. “Celebration of the occasion is to let everyone know that they're welcome to come and join in the good times,” said Patel. In India, Diwali is an official holiday giving everyone a chance to spend time with family and exchange gifts and sweets. Children enjoy the festival by decorating their homes with diyas, playing games and lighting fireworks. The Orillia Secondary School student doesn't get many questions about his traditional celebrations at school, but he likes sharing it with the community any way he can. Also attending the ceremony were Coun. Mason Ainsworth and Jill Dunlop, Progressive Conservative candidate for Simcoe North. Dunlop, who was taking in the festivities with her daughters, said it was great to see families coming together and promoting traditional values in the community and among the younger generation. The feeling is mutual, said Patel.